'LORD' vs 'Lord' - I don't remember the exact difference but in Old Testament verses we frequently see 'LORD' entered as 'Lord'. These two terms are different and it's important to enter them correctly. Fortunately, everything is case-insensitive when you're memorizing so you won't be tested on the difference! Periods and Full-stops - these are very frequently left out at the end of verses. We are not being pedantic on this front. All the major translations' copyright restrictions require identical punctuation and spelling so we eventually correct every verse to match the given translation. Lord is the English translation of the Hebrew word 'Adonai' or 'Adon.' It means "Ruler" or "Possessor." The name 'Adonai' testifies of God as the possessor of, and ruler over, all things, including man. It speaks of God's power over nature and creation. In, I think, all translations this name is printed as "Lord." LORD is the English translation of the Hebrew word 'Yahweh' or 'Jehovah' and it means "I am that I am." This is the most personal and special name of God for it speaks of God as being unchangeable and eternally faithful. This true for all of creation, but this name especially points to God's remaining faithful to His people and unchangeable in His mercy toward them. God remains true to His covenant promises â€“â€“ He will deliver His people. He will save them from their sins. He is what He is, and will be what He is forever. "I am that I am." The name 'Yahweh' or 'Jehovah' is written as 'LORD' with all capital letters in most versions. I adapted that from my Sunday School book (by James W. Beeke). Laurel, I don't see the beginning quotation mark in Deut 6:7. There is one in verse 6:6 but the next verse is part of the same paragraph as far as I can tell. Am I missing something. By the way, it is helpful to know about the minor errors because often people report verses with errors and it's difficult to know what they're referring to. I'm planning to add a 'Comments' section when people report errors but it will be a while before that's ready. My little NKJV (c1985 by Thomas Nelson, Inc) has a quotation mark there. I just checked Bible Gateway, and it is not there; but my Online Bible it is there. It also shows up in the Blue Letter Bible on-line. Must just be a typo in Bible Gateway. I have sent them a typo report. I'll let you know if I hear anything, could be it's just a new edition or something. I am now using Bible Gateway to enter from to keep things consistant. Help! I foolishly put the text of Psalm 120:1 in the KJV, as the NIV! I successfully deleted it from my verse list but it is still in the system! If the administrator of the website could delete the verse from the system, that would be just great. (I do not have e-mail accesss or I would send this message that way.) Thanks! @Matthew - Please try adding it back to your verse list as NIV. Then, you should be able to go to your verse list and click the link that says Edit or Editable. Then you can change how it is entered for the NIV 1984 edition, please. After that, you will have fixed the problem and you can delete it from your list and add it in KJV. Thanks. Chancellor Ghafouri - Please go to the My Verses page: http://www.memverse.com/show_all_my_verses. From there, click on one of your verses. For example, if you have Genesis 1:1 click on "Gen 1:1". Then, it will take you to a page where you can add a tag. I think we're going to have to make how-to articles easier to access. I understand that it is hard to find the blog posts explaining it sometimes. Hope this helps. I haven't made any of those three mistakes yet,but it will help me later in time when I add another verse. "Fortunately, everything is case insensitive when you're memorizing, so you won't be tested on the difference!" @Chelse Brun - It did not count it wrong because of you not capitalizing the first word...but because of a mistake you made in the verse/passage. Since you made a mistake, it just showed you where your capitalizing mistakes were...but it didn't count it wrong just because of that. Did that make sense? This is very helpful. But I do want to recommend two resources on the computer that we always use to enter verses. The first one that we usually use is E-sword, which is a program that you can download for free off the internet (I think). The next one is www.biblegateway.com. It is also very helpful. You can simply copy and paste them. They both don't have the mistakes you mentioned, but they do have the reference in them. I recommend using one of these helpful tools to enter a verse. Thank you for thinking of Memverse! 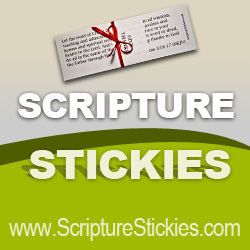 It is such a fun, creative, easy way to memorize verses! Thanks for the info! Will be well used! I am glad that this is a level goal I probably would not have read it otherwise. Can quotation marks really make it not say Correct? Everett - The issue is with omitting quotation marks when adding verses to your account. If you omit quotation marks when you are reviewing, that's OK; it will stay say, "Correct." Thank you. :) would it change anything (omitting quotation marks) when you are doing a Accuracy Test? oh no when I try to do some thing on feedback it says that I must log in or sign up so I put my memverse account user name and password and it says that ether my password or user name is incorrect :-( what do I do? Thanks :) uh...... how do you do that? The Hola Espaniol was not from me. My brother logged on as me and did that! What about the "TY"? What dose TY mean anyway? @Everett, I may be wrong, but I believe 'TY' means 'Thank You'. Wondering how to enter that long dash as it appears in Colossians 1:16 and 22 in the NASB. If I put a space/dash/space, that is noted as an error. Please advise. Thanks. The software should accept either the long dash or the short dash. If you're reviewing your verses you can enter the dash with the regular keyboard dash. When entering new verses we ask people to use the long dash because it is more readable. In that case, the easiest way to get a long dash is to copy and paste it from another verse. Thanks for this information. I tend to copy & paste to avoid errors, but this is good to know! Thank you, for that helpful blog post from 2010! God's real name Jehovah was considered such a sacred name that LORD was used in place of it in translation of the King James Version, and other versions have followed suit. thanks for letting me know ahead of time. Did someone every fix the Luke ESV 2011, i think. I was using ESV, but I was using a different version. I'm so sorry!